» Happy Celiac Disease Awareness Month!! This morning I had the honor of interviewing Alice Bast of BeyondCeliac.org (formerly NFCA). 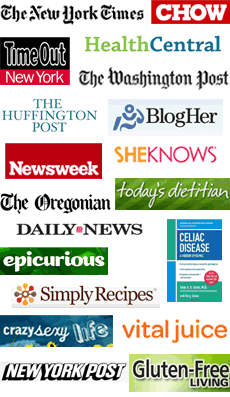 Get the latest scoop on celiac disease and gluten sensitivity and help us to spread the word. CLICK HERE to find out more about BeyondCeliac.org’s May awareness initiative #60ForCeliac. There’s another video and some great infographics about celiac disease you can share.